For medium to large system applications, The Alpha Group can provide both standard and custom DC system solutions designed to maximize space and cost savings. Systems can be integrated with a wide array of options including various rack solutions, custom DC distribution configurations, multiple voltage output designs and front access. Coupling advanced Cordex power technology with an enormous selection of system components, The Alpha Group can easily provide optimal system solutions up to 8,000 Amps. The Argus Cordex series of controllers (CXC) come in a variety of configurations including panel mount, rack mount, modular, and shelf-integrated models. Every CXC configuration is equipped standard with advanced software features. 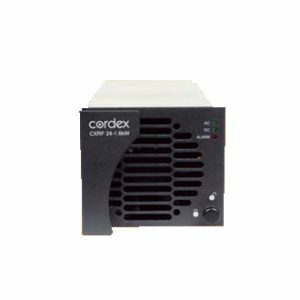 Optional Cordex peripherals, such as the Battery Monitor System, can also be easily installed as an add-on to provide additional monitoring capabilities. Alpha CXPS standard power systems bring proven Cordex technology into a standard integrated system package. The RST Series 48VDC, 24VDC, and 12VDC rectifiers provide continuous, reliable power output using Argus’ advanced high frequency switching technology. The RSM 48/10 (24/18) is a compact, front access rectifier system designed for 48VDC and 24VDC applications. Pathfinder’s hot swappable, front-access design incorporates an advanced switching technology for higher performance and greater reliability. A wide range AC input provides protection from power line disturbances and eliminates nuisance alarms. Worldwide Supply is always looking for a wide variety of networking hardware and telecom networking equipment, including Alpha/Argus and many other product brands. We will help you receive the maximum value for your surplus and used networking equipment and telecom hardware. You will receive cash-up-front at highly competitive rates while we handle the removal of all networking equipment.